The Deepwater Horizon oil rig explosion, fire, and uncontrolled release of oil into the Gulf is a disaster of unprecedented magnitude. This disaster in the Gulf of Mexico appears to be more serious in objective terms than the Challenger space shuttle disaster in 1986 -- in terms both of immediate loss of life and in terms of overall harm created. And sadly, it appears likely that the accident will reveal equally severe failures of management of enormously hazardous processes, defects in the associated safety engineering analysis, and inadequacies of the regulatory environment within which the activity took place. The Challenger disaster fundamentally changed the ways that we thought about safety in the aerospace field. 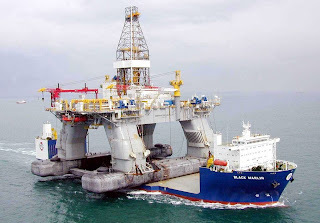 It is likely that this disaster too will force radical new thinking and new procedures concerning how to deal with the inherently dangerous processes associated with deep-ocean drilling. An ICBM silo was destroyed because the counterweights, used to balance the silo elevator on the way up and down in the silo, were designed with consideration only to raising a fueled missile to the surface for ﬁring. There was no consideration that, when you were not ﬁring in anger, you had to bring the fueled missile back down to defuel. The ﬁrst operation with a fueled missile was nearly successful. The drive mechanism held it for all but the last ﬁve feet when gravity took over and the missile dropped back. Very suddenly, the 40-foot diameter silo was altered to about 100-foot diameter. During operational tests on another silo, the decision was made to continue a test against the safety engineer’s advice when all indications were that, because of high oxygen concentrations in the silo, a catastrophe was imminent. The resulting ﬁre destroyed a missile and caused extensive silo damage. In another accident, ﬁve people were killed when a single-point failure in a hydraulic system caused a 120-ton door to fall. System safety uses systems theory and systems engineering approaches to prevent foreseeable accidents and to minimize the result of unforeseen ones. Losses in general, not just human death or injury, are considered. Such losses may include destruction of property, loss of mission, and environmental harm. The primary concern of system safety is the management of hazards: their identiﬁcation, evaluation, elimination, and control through analysis, design and management procedures. System safety emphasizes building in safety, not adding it on to a completed design. System safety deals with systems as a whole rather than with subsystems or components. System safety takes a larger view of hazards than just failures. System safety emphasizes analysis rather than past experience and standards. System safety emphasizes qualitative rather than quantitative approaches. Recognition of tradeoﬀs and conﬂicts. System safety is more than just system engineering. Safety is an emergent property that arises at the system level when components are operating together. The events leading to an accident may be a complex combination of equipment failure, faulty maintenance, instrumentation and control problems, human actions, and design errors. Reliability analysis considers only the possibility of accidents related to failures; it does not investigate potential damage that could result from successful operation of the individual components. How do these principles apply to the engineering problem of deep-ocean drilling? Perhaps the most important implications are these: a safe system needs to be based on careful and comprehensive analysis of the hazards that are inherently involved in the process; it needs to be designed with an eye to handling those hazards safely; and it can't be done in a piecemeal, "fly-test-fly" fashion. It would appear that deep-ocean drilling is characterized by too little analysis and too much confidence in the ability of engineers to "correct" inadvertent outcomes ("fly-fix-fly"). The accident that occurred in the Gulf last month can be analyzed into several parts. First is the explosion and fire that destroyed the drilling rig and led to the tragic loss of life of 11 rig workers. And the second is the uncalculated harms caused by the uncontrolled venting of perhaps a hundred thousand barrels of crude oil to date into the Gulf of Mexico, now threatening the coasts and ecologies of several states. Shockingly, there is now no high-reliability method for capping the well at a depth of over 5,000 feet; so the harm can continue to worsen for a very extended period of time. The safety systems on the platform itself will need to be examined in detail. But the bottom line will probably look something like this: the platform is a complex system vulnerable to explosion and fire, and there was always a calculable (though presumably small) probability of catastrophic fire and loss of the ship. This is pretty analogous to the problem of safety in aircraft and other complex electro-mechanical systems. The loss of life in the incident is terrible but confined. Planes crash and ships sink. What elevates this accident to a globally important catastrophe is what happened next: destruction of the pipeline leading from the wellhead 5,000 feet below sea level to containers on the surface; and the failure of the shutoff valve system on the ocean floor. These two failures have resulted in unconstrained release of a massive and uncontrollable flow of crude oil into the Gulf and the likelihood of environmental harms that are likely to be greater than the Exxon Valdez. Oil wells fail on the surface, and they are difficult to control. But there is a well-developed technology that teams of oil fire specialists like Red Adair employ to cap the flow and end the damage. We don't have anything like this for wells drilled under water at the depth of this incident; this accident is less accessible than objects in space for corrective intervention. So surface well failures conform to a sort of epsilon-delta relationship: an epsilon accident leads to a limited delta harm. This deep-ocean well failure in the Gulf is catastrophically different: the relatively small incident on the surface is resulting in an unbounded and spiraling harm. So was this a foreseeable hazard? Of course it was. There was always a finite probability of total loss of the platform, leading to destruction of the pipeline. There was also a finite probability of failure of the massive sea-floor emergency shutoff valve. And, critically, it was certainly known that there is no high-reliability fix in the event of failure of the shutoff valve. The effort to use the dome currently being tried by BP is untested and unproven at this great depth. The alternative of drilling a second well to relieve pressure may work; but it will take weeks or months. So essentially, when we reach the end of this failure pathway, we arrive at this conclusion: catastrophic, unbounded failure. If you reach this point in the fault tree, there is almost nothing to be done. And this is a totally irrational outcome to tolerate; how could any engineer or regulatory agency have accepted the circumstances of this activity, given that one possible failure pathway would lead predictably to unbounded harms? There is one line of thought that might have led to the conclusion that deep ocean drilling is acceptably safe: engineers and policy makers might have optimistically overestimated the reliability of the critical components. If we estimate that the probability of failure of the platform is 1/1000, failure of the pipeline is 1/100, and failure of the emergency shutoff valve is 1/10,000 -- then one might say that the probability of the nightmare scenario is vanishingly small: one in a billion. Perhaps one might reason that we can disregard scenarios with this level of likelihood. Reasoning very much like this was involved in the original safety designs of the shuttle (Safeware: System Safety and Computers ). But several things are now clear: this disaster was not virtually impossible. In fact, it actually occurred. And second, it seems likely enough that the estimates of component failure are badly understated. What does this imply about deep ocean drilling? It seems inescapable that the current state of technology does not permit us to take the risk of this kind of total systems failure. Until there is a reliable and reasonably quick technology for capping a deep-ocean well, the small probability of this kind of failure makes the use of the technology entirely unjustifiable. It makes no sense at all to play Russian roulette when the cost of failure is massive and unconstrained ecological damage. There is another aspect of this disaster that needs to be called out, and that is the issue of regulation. Just as the nuclear industry requires close, rigorous regulation and inspection, so deep-ocean drilling must be rigorously regulated. The stakes are too high to allow the oil industry to regulate itself. And unfortunately there are clear indications of weak regulation in this industry (link). Loss of control at the wellhead should not be subjected to odds. Given the consequences, it should be looked at an an eventuality. Unless there was a protocol in place to contain the failure, it should not have gone operational. What if BP ran nuclear reactors?